Illuminate your living room, bedroom or office with the sleek styling and ample light offered by this contemporary modern table lamp. 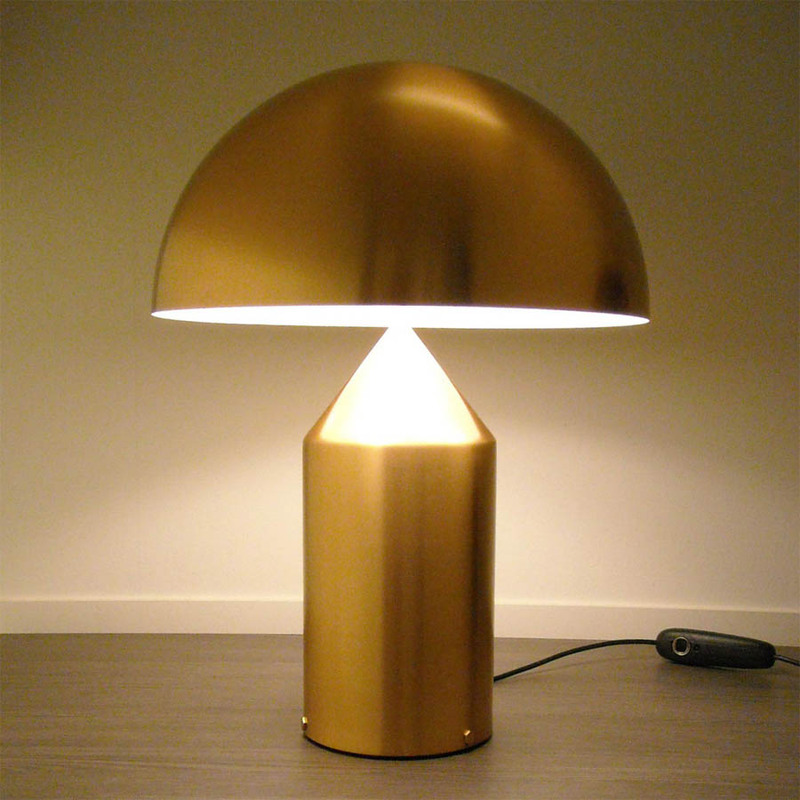 The Oluce Atollo Lamp is one of our favourite pieces of modern design and a true classic. The Oluce Atollo is an icon of Italian lighting design and an symbol of modern design worldwide. 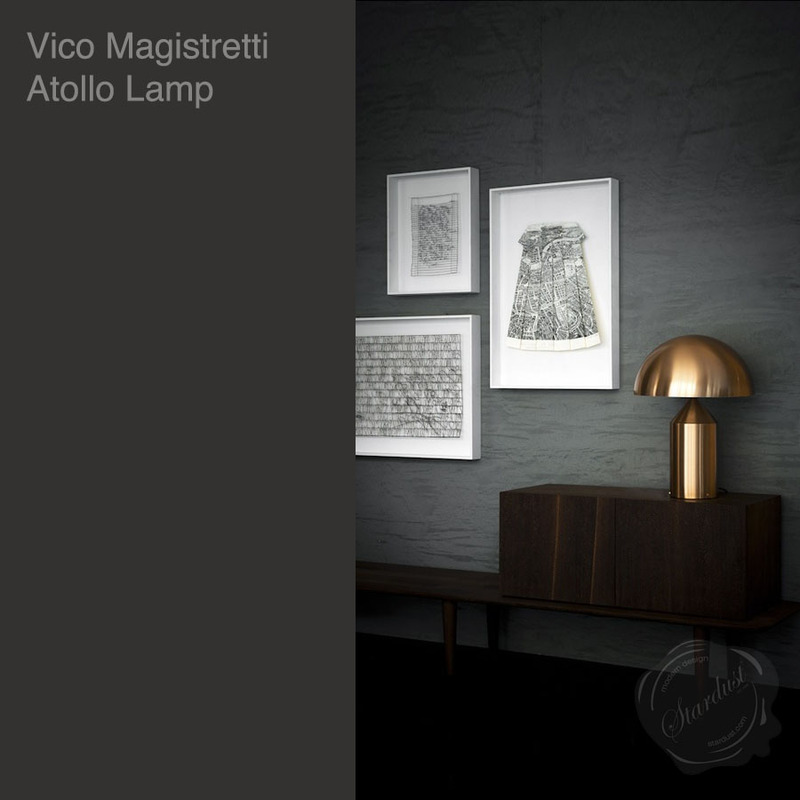 The Atollo Table Lamp Model 233 was designed by Vico Magistretti in 1977 and was awarded the Compasso d'Oro in 1979. Atollo is one of the best known design classics as seen in numerous musea around the globe. Atollo's lamp shade appears to almost float in mid-air. A circular lacquered metal base base anchors the lamp with stylish appeal, while a sweeping metal dome-shaped shade rises up to meet the lamp holder that houses the bulb. The diffuser reflects light back onto the base, providing an interplay of light and shadow that makes this lamp even more distinctive. 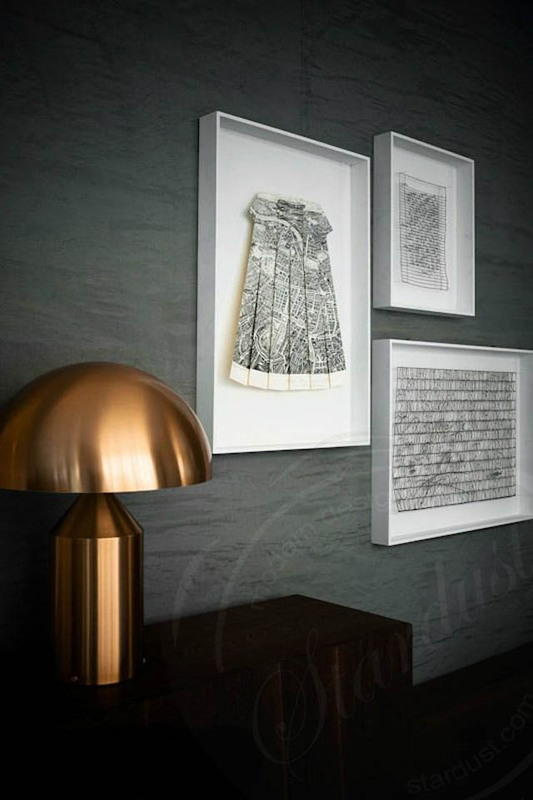 Atollo provides a soft glowing reflected light, that gives your home a warm and welcoming atmosphere. The iconic Italian style makes the Atollo a beautiful addition to any room in need of an additional lighting source. 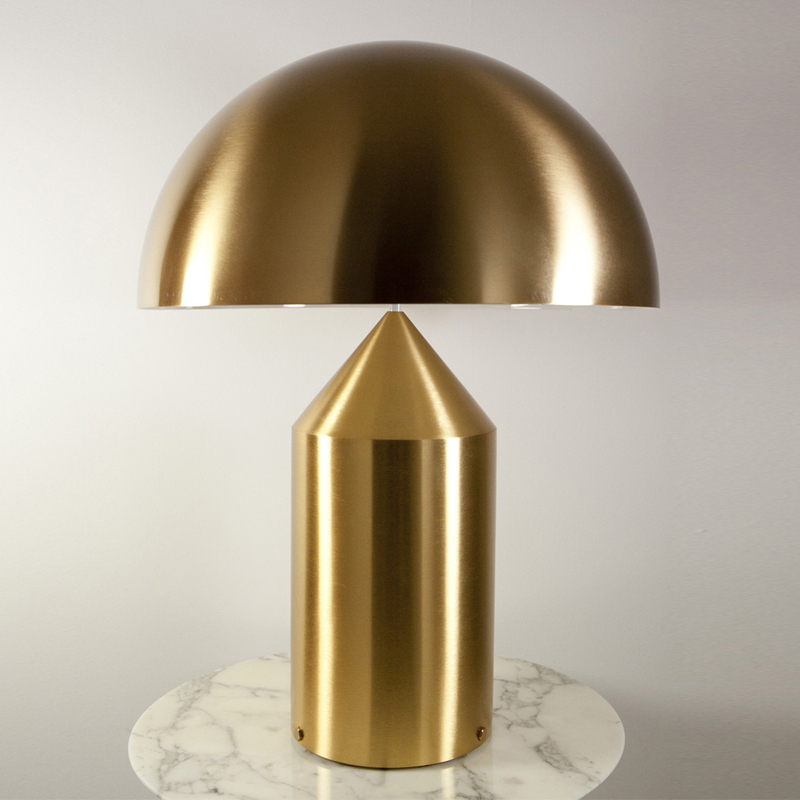 The beautiful Oluce Atollo 233 Table Lamp by Vico Magistretti in Gold.